I am so excited to have Miss Kallie guest posting today with a delicious St. Patrick’s day treat! Kallie is one of the sweetest girls ever (on the internet and in real life!) 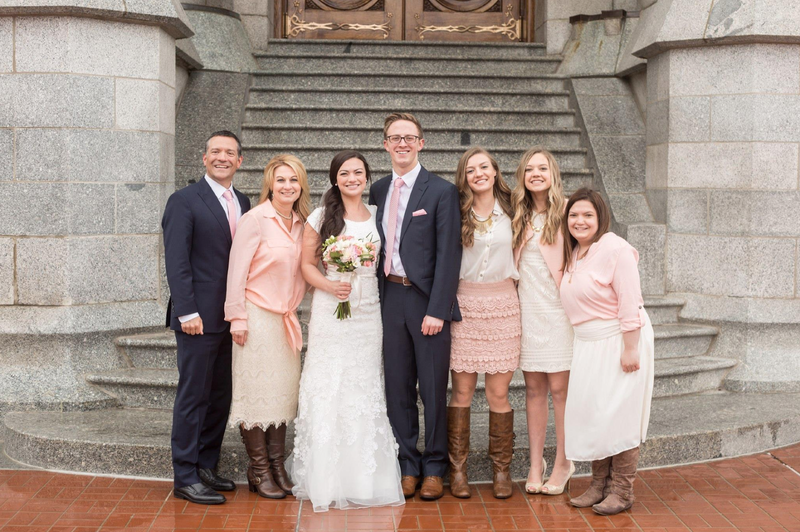 and I’m thrilled to share her talents and her darling blog with you today! After a week of being sick, this float is on the menu for dessert this weekend, I can’t wait! Is this even real life right now? I am so happy to be guest posting for Alexa today! How cute is she? Seriously I love her. Well, my name is Kallie. I am from Life Through a Lens, that's my blog. You may remember me from Alexa's #servingothers2015 post! I am the one that created that blog hop and I am so happy Alexa participated! This me and my family. I am the second one in from the right. They (we) are crazy, and I love em'. Wanna know somethin' about me? I am not a mom (like most of you), I am a high school student. I think that surprises people a lot. I am not your average Sophomore. I would rather stay home craft, bake, blog, etc. than go out with my friends till the wee hours of the night. Don't get me wrong I like High School but, sometimes I feel like a twenty-somethin' year old stuck in a fifteen year old's body. Ha! I would love for you to come visit my blog, I love visitors ;) My blog has everything from DIYs and recipes to outfit ideas and fashion posts. Come and join the party! So let's start off with the basics, the ingredients. All you are gonna need is some Lime Sherbet, and Sprite. Easy! Start off by putting some sherbet in your cup, then pour your sprite over it! NOTE: Don't try and pour the sprite fast. It bubbles up, fast. If you try to do it fast it WILL over fill and spill everywhere. Trust me, I know. A cute straw is not necessary but, adds a nice little touch. Seriously, how cute are paper straws these days? Love em'! That's it my dear. I advise you now to go the store, get a bottle of sprite and some lime sherbet. Make this treat, your kids will love you and you will hate me ;). Hehe..it is so yummy! Your welcome. If you are like my mom, and probably a lot others, you really didn't have hardly anything for St. Pattie's Day. Well, now you do! 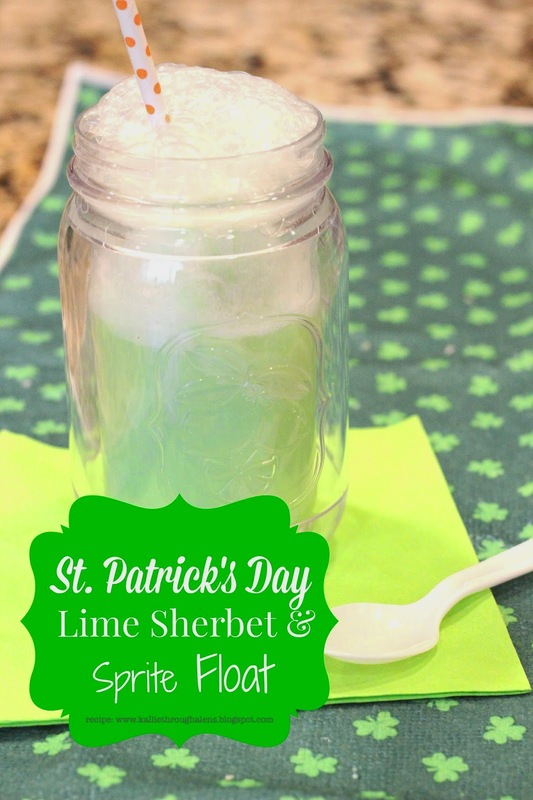 Over on my blog today I am sharing a little treat/goodie/sucker thing for St. Pattie's Day. I teach gymnastics and dance at The Little Gym and my little kiddies, that have classes that day are in need of a treat. So I put together a little somethin' for them. You know what to do..go check it out! Look how cute it is! I hope to talk to you soon! Thanks again Alexa for letting me guest post today!